Get your quality Skid Steer for sale from Texas Skid Steer. Better Business Bureau to check out our company. We have a large selection of used Bobcats for sale as well as all other major brands for sale at all times. We want to fill your used skid steer loader needs by giving you all the information you need concerning our products so you can make an educated decision on your used skid steer purchase. 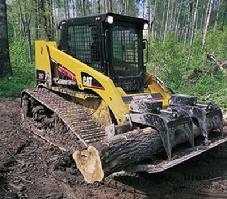 We have used Bobcats for sale as well as all other name brand skid steer loaders. We have quality used skid steers for sale in Texas, and have all the skid steer attachments you may need. We offer affordable fully insured shipping anywhere in the USA. Texas Skid Steer is constantly checking the competition to make sure we are the low cost leader over all other skid steer dealers. Texas Skid Steer gives you much more than any other Company, we do not give you a picture or two and the price, we give you a lot of large pictures of every part of our skid steers for sale. We also video our used skid steers for sale, so you can have confidence that you are getting a quality used skid loader. That's not all, we also give you detailed specs on all our used skid steers, because we feel that the more information we can give you about our used Bobcats for sale, the better choices you can make in buying the right one for the job. We are located just outside the Dallas Fort Worth area..
Texas Skid Steer wants to be your, Used Skid Steer, dealer. We promise to be honest and fair concerning all of our , Used Skid Loader, transactions. Used Skid Steer loaders are our business, and we take our obligation to our customers very seriously. We believe that you should treat everyone with respect and honesty. Texas Skid Steer, will stand behind all our products and services, as if we were selling a, Used Skid Steer Loader, to our brother or friend. When you purchase a ,used skid steer, from, Texas Skid Steer, we would like nothing more than for you to consider us your friend. We want to earn your business, and your friendship. Please consider, Texas Skid Steer, for your, Used Skid Steer, needs. If you are searching for a skid steer for sale, please use the information below to help you make a good decision. Need more Skid Steer Info? Why Wait on a Skid Loader? When you have the resources at your fingertips, why hold off on the purchase that would make your job so much easier? If you're looking for a skid loader, such as a bobcat skid steer loader, at Texas Skid Steer we're waiting to show you our inventory of used skid loaders and other machinery at the lowest prices in the industry. Take a look at our selection for a Bobcat skid steer or a New Holland skid steer. Carrying top brands and high quality machinery is what we do so that we can offer our customers the best deal accompanied by excellent customer service. 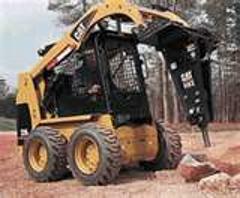 Check out our changing inventory for Caterpillar skid steer loaders and other equipment. Move fast before what you want is gone! 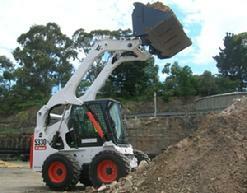 For more information on new and used skid steer loaders for sale read our articles.